The picture is surprisingly similar to the pictorial dynamics of grain yield in Russia. 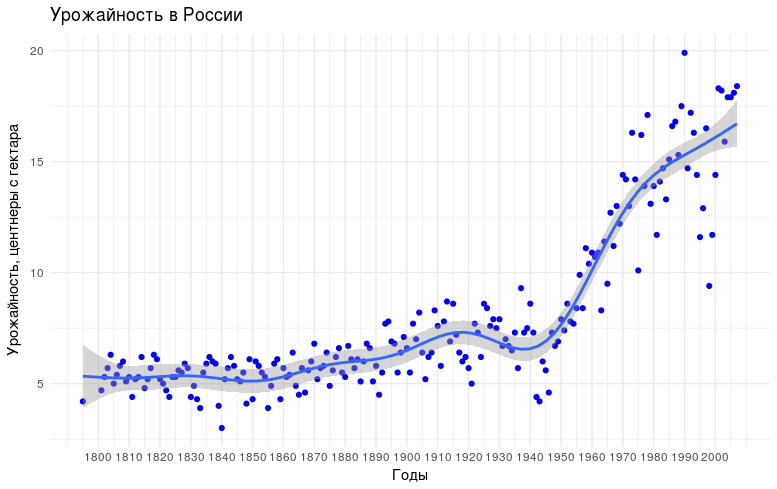 Although, no wonder, the yield is critically dependent on the climate, but it is severe in Russia. Hey Mosh, please name one or two rural sites which match this warming trend ….. won’t hold my breath …..
Hey Mosh looks like you’re having trouble naming even just one rural site which shows the urban warming trend depicted in your fake GHCNv4 chart. Your chart is likely for rural sites which have been corruptly adjusted to match urban warming. I’m aware of numerous rurla sites which have been thus adjusted.